The only independent nonwovens technology development center. Filtration® 2018 brings together a myriad of industries, a variety of viewpoints and a collection of brilliant professionals from across the world. The result? A huge flow of ideas, hyperfocused on filtration. 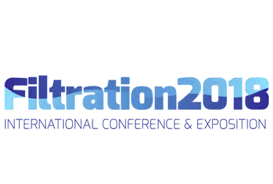 Come, join us in connecting with industry leaders for a deep dive into filtration topics, it’s on us! We have a complimentary guest pass for you to attend the expo – a $100 value! SENW has all the technology you need to develop, prototype, and produce your next generation filtration products…all in one facility. We welcome you to stop by our booth # 213, to share your requirements and to learn more about our capabilities. Our colleague and friend Will Frederick passed away Wednesday, August 15, 2018. Mark Crews on Our colleague and friend Will Frederick passed away Wednesday, August 15, 2018. 1997 – 2018 © all rights reserved • Southeast Nonwovens, Inc. – The only independent nonwovens technology development center in North America.